Like the saying goes, "Florals? For spring? Ground-breaking" (Devil Wears Prada), this years floral trend is back for the spring season but with a fresh new look. There’s something about spring and the warm weather that always has me craving florals. 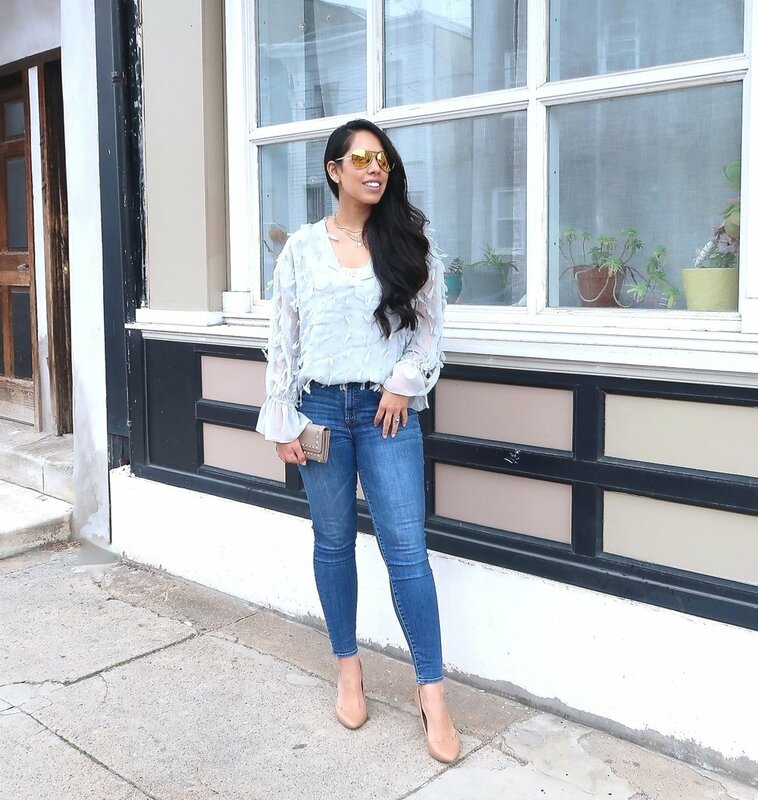 Despite florals being a predictable trend for spring and the fact that it’s been done many times, this years trend has been updated to include different colors, bold florals (think tropical prints), and statement sleeves (cold shoulder, off the shoulder, etc). 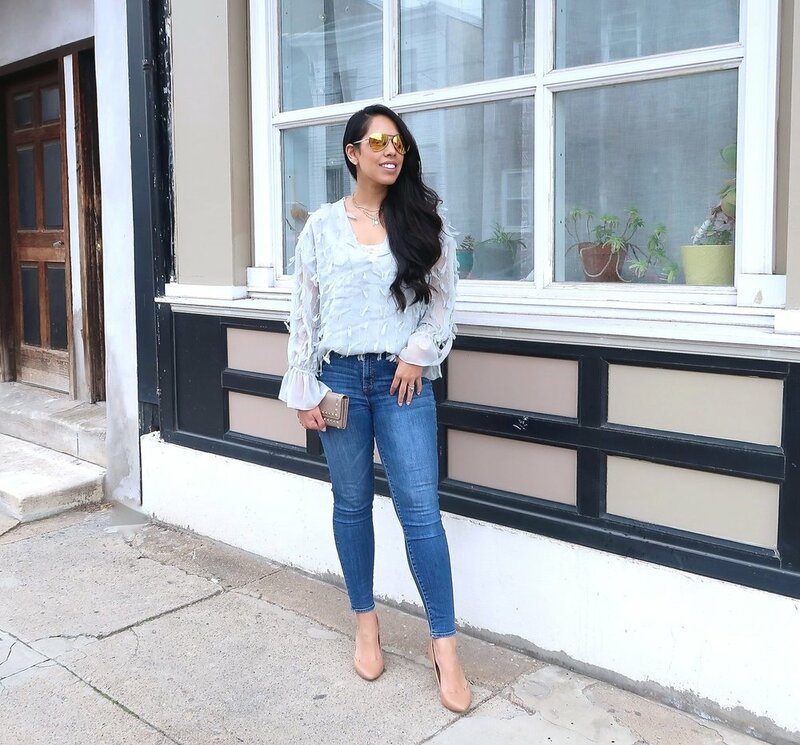 One of my favorite pieces in my closet right now is this beautiful flowy floral cold shoulder top from Zara (only available in store right now!). 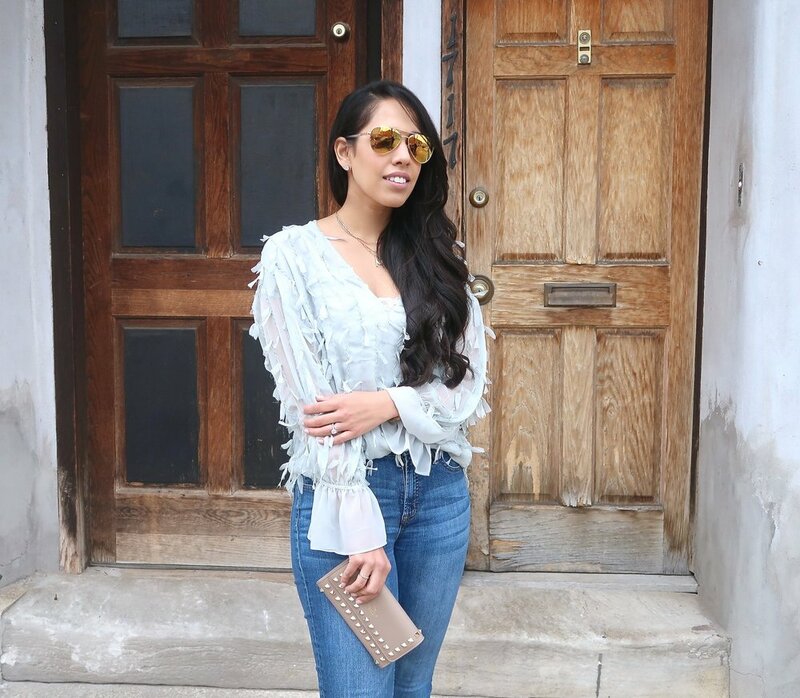 This blouse is feminine, airy and romantic - honestly it's perfect for any occasion! 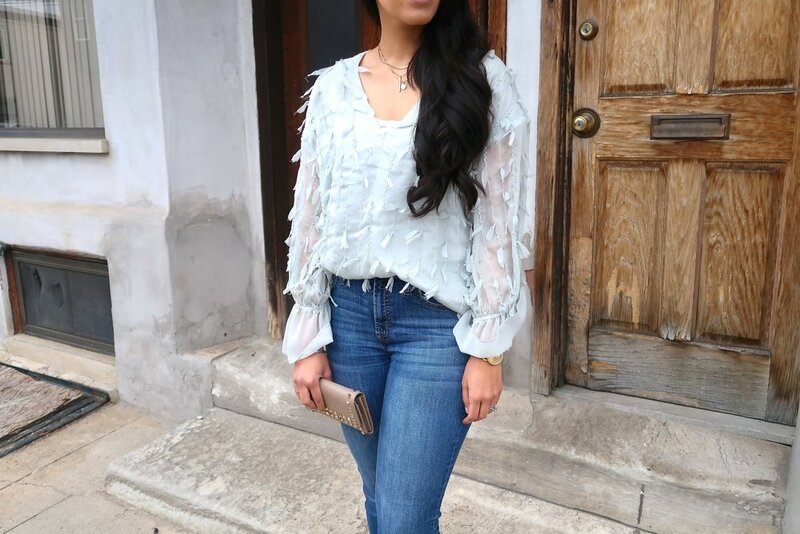 I wore this outfit to my husband's birthday dinner last Friday and I can't wait to pair this blouse with shorts for the summer! 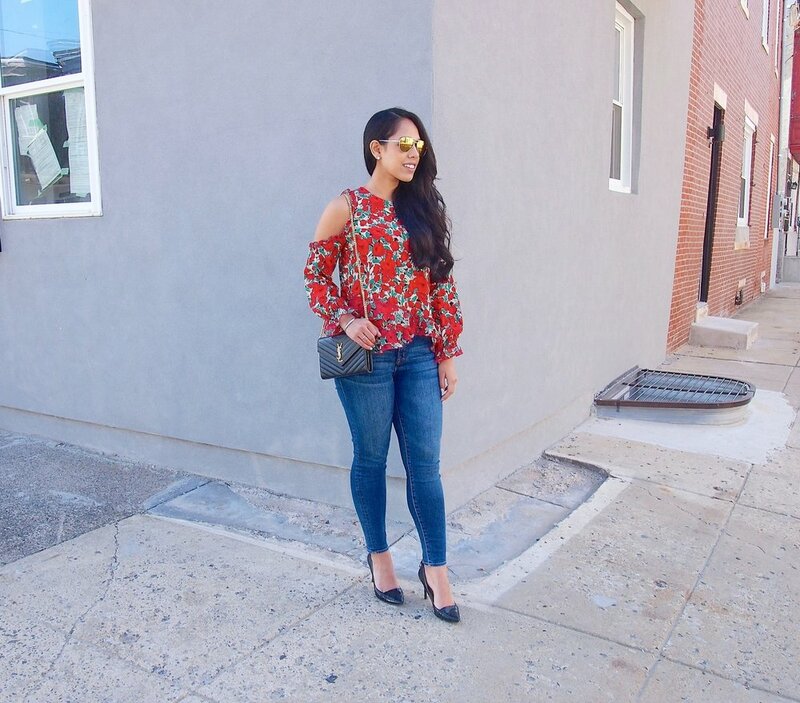 I linked a few other of my favorite cold shoulder floral blouses below. What do you think of this trend? One trending I am LOVING right now are super chic embroidered pieces! I don't know about you but I am so ready for spring and it can't come sooner! I just love how the embroidery pops against the black material on the dress. What I really like about this dress is that you can wear it in the winter with tights and booties and in the spring with sandals - it's so versatile! I got mines at Zara, however, I can't find it on their website anymore so I linked a few of my other favorite pieces below!